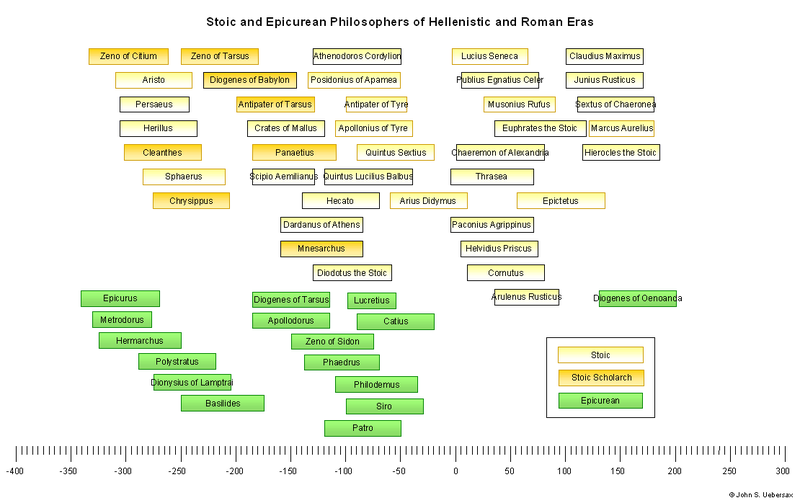 Often when we think of Socrates we think of Plato almost exclusively, and forget that Socrates’ other pupils made important contributions. 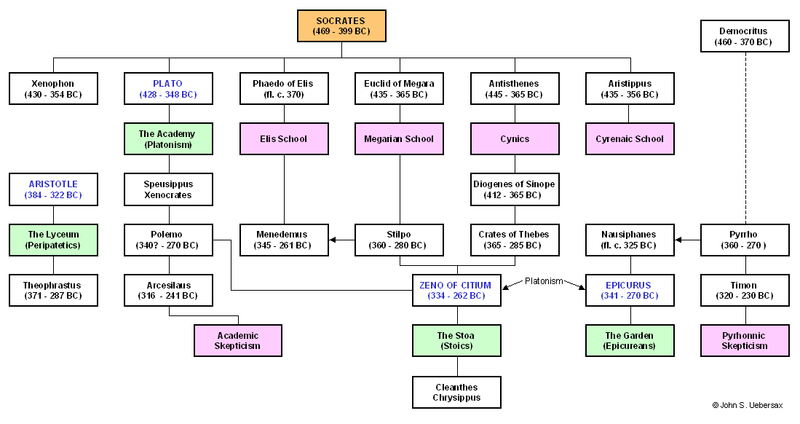 Each of these schools emphasized some important aspect of Socrates’ teachings. 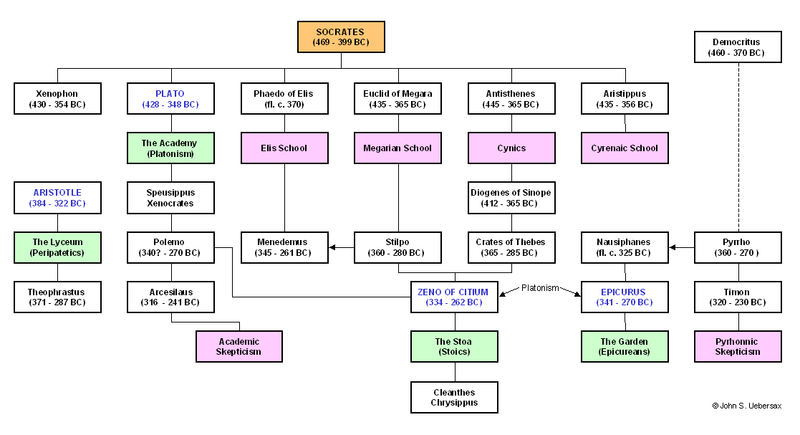 Rather than focus on one school, such as Platonism, Stoicism, or Epicureanism, exclusively, we do well to study them all, seeking to integrate the insights associated with each.